3Gstore.com Blog: Will the Booster Antenna Work for Me? This question is heard daily by our sales team at 3gstore. Did you know 3gstore’s first (and only product for some time) was the Booster Antenna? Our website was actually boosterantenna.com. The Booster Antenna is still one of our top selling items, however, this antenna is not always the best solution for everyone’s needs. In order to help determine which antenna would work best in a particular situation, there is some information we like our customers to gather for us. It is very helpful to know the RSSI values both inside and outside of their house. 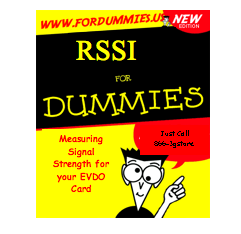 RSSI is Received Signal Strength Indicator – this is the most accurate way to measure the signal strength of your EVDO device or cell phone. The number of bars or a percentage don’t actually tell us a lot about your connection to the tower. Since 3gstore is “Mobile Broadband Made Easy,” we have created a link explaining how to measure your RSSI. That article can be found here. The first part of the article shows you how to find your RSSI in the connection manager for your EVDO device. There are screenshots of the different connection managers, making it easy for you to find the signal strength regardless of which carrier you are using. The second part of the article instructs you to do a site survey in and around your house, and answer the questions listed. Once you have these answers, call us at 3gstore and give us your results. With the RSSI information you provide, we can make a much more informed recommendation as to what antenna solution would be best for your application.